Nice Job & a pleasure to do business with. Friendly staff and great service. No more issues with spiders in my basement. Lawrence Johnson did an excellent treatment. He sprayed the basement very thoroughly. 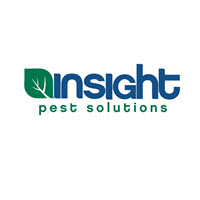 Lawrence is a very personable individual and represents Insight Pest Solutions well. Work was done while I was at work and I received a list of what was done. I'm satisfied with the results. no bugs or pests to be found. happy with the service - seems a bit expensive - but overall am happy with the services I receive. I am a very satisfied customer. The Technician did a very thorough quarterly application around the exterior of my home. Thank you. Please contact me about my motion light that was moved last service day. When I called you told me you would contact for it to be adjusted, that was 2 weeks ago. Please contact 8164569979. Dee Gary. Your tech was very through and very professional. Cody doesn’t outstanding job very good customer service skills. Your technician, Josh, called to inform me that he was in route and gave me an ETA. He arrived within the ETA window he had given me. He was both friendly and cordial. We discussed the insect issues I had. He then treated the areas outdoors and asked if I needed him to treated any areas inside the house. I told him that was not necessary on this visit. Josh said, if I had any insect isssues before the next quarterly treatment, to call Insight. Always have timely notification and the provider is always neat, polite and very competent. No complaints whatsoever. I have been very pleased with the service and professionalism demonstrated by the company. I am re-locating and that is the only reason for closing the account. My home was well protected both inside and out during the time I had your company providing services. All of your staff was always on time, notified me of the services to be rendered and always very courteous.